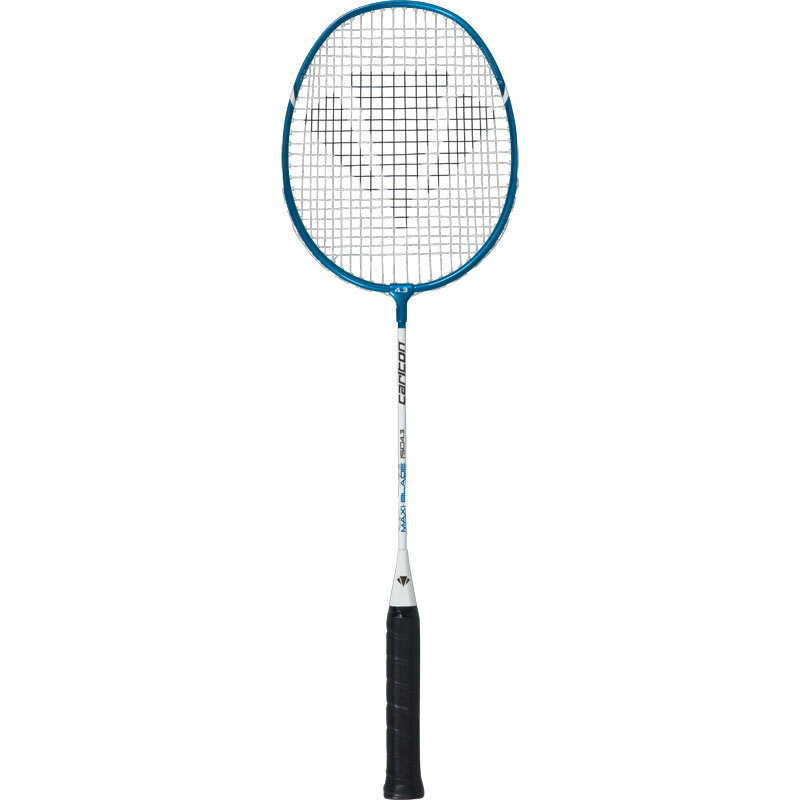 The Carlton 4.3 Badminton Racket is a titanium alloy/steel construction for durable performance with an ergonomically shaped handle to support a correct grip and an enlarged ISO head-shape for easy playability. Ideal for school, college and sport centre use. 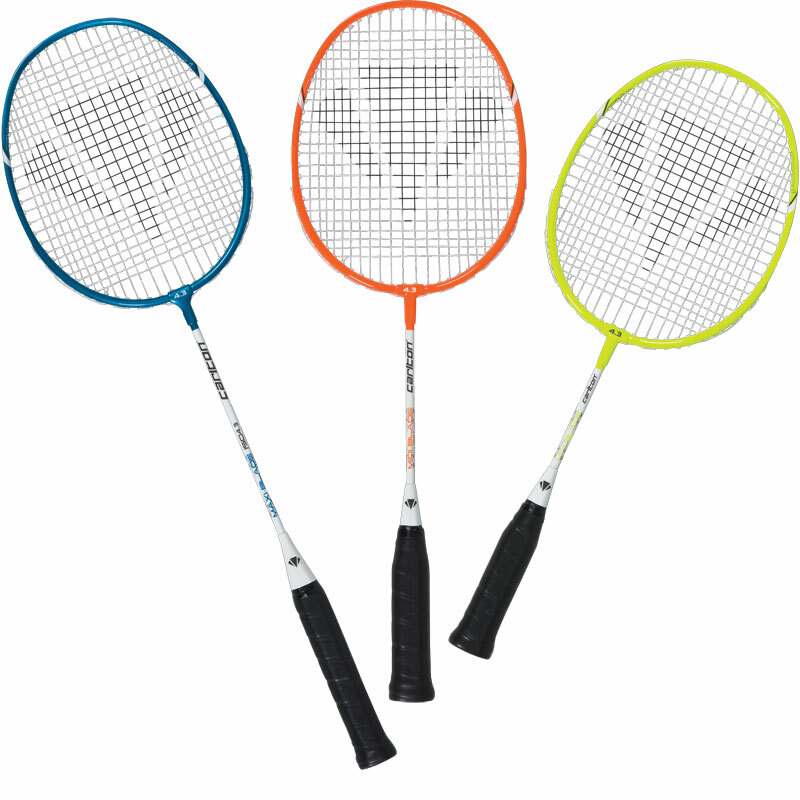 This racket is available in 3 sizes: Mini-Blade 21", Midi-Blade 23" and Maxi-Blade 27". For ages 3 - 6 years supports delivery of Key Stage 1 badminton. 21" (53cm) racket length for the younger player. 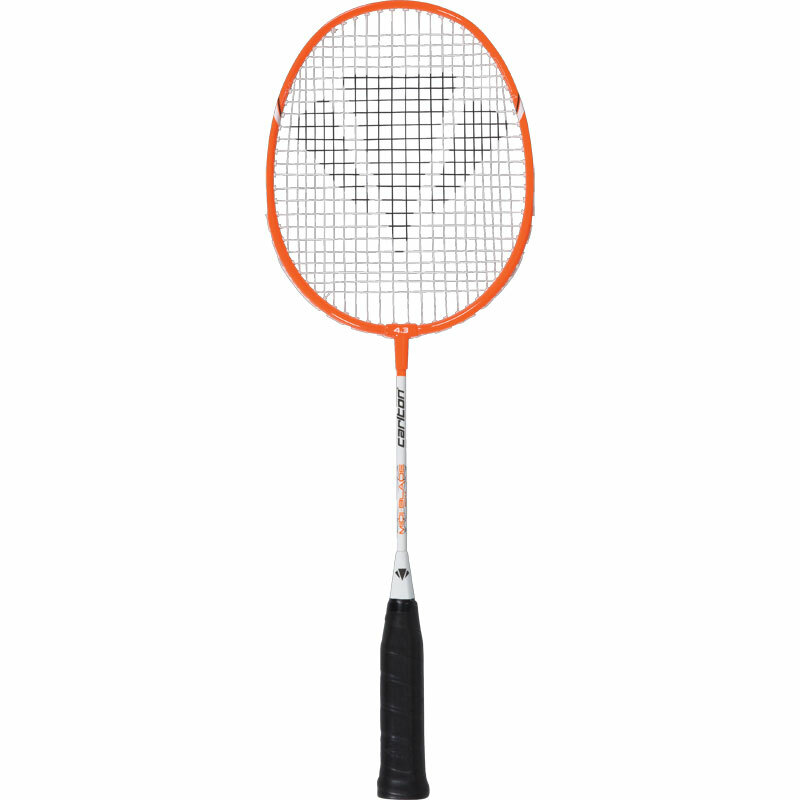 This racket bridges the gap between first junior racket and full size frame. For age 7 - 10 years and supports Key Stage 2 badminton delivery. 23" racket length for the junior player. This racket supersedes the market leading Contract 4.3 as the No.1 racket of choice for all schools and leisure centres. Ideal education or hire racket for ages 11+. Supports delivery of Key Stage 3 -5 badminton. 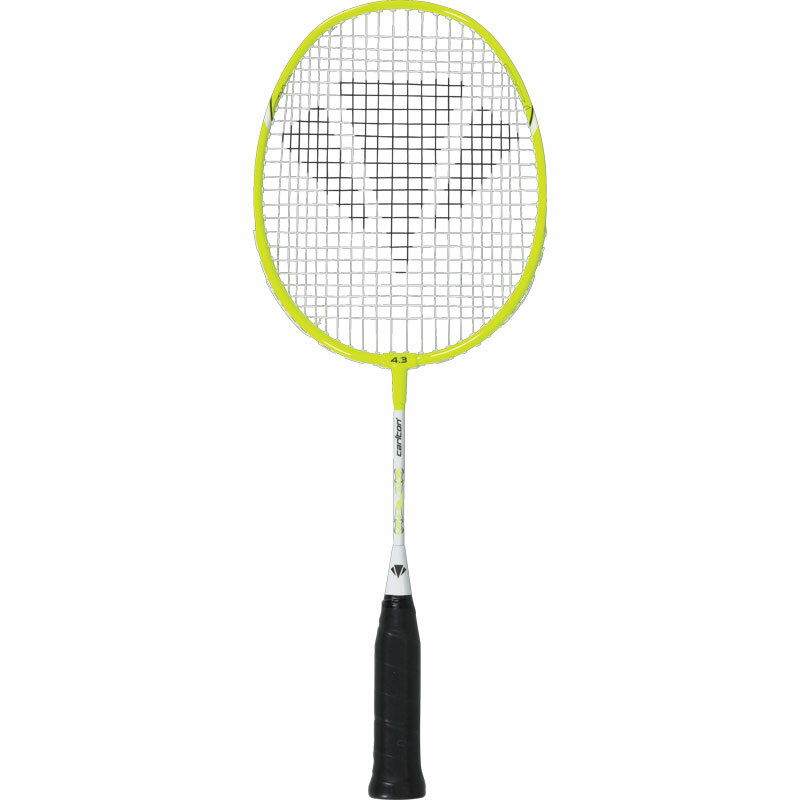 Perfect badminton racket for an 8-12 year old beginner/novice. Strings appear strong and the grip is comfy and narrow. Very good racquet for my daughter age 8, who was struggling with a full size one. Only issue is that it did not come with a cover. I needed a suitable racket for my 8yr old. Price was good , it arrived within a few days and the racket (midi) is a good size. Option for a mini was there but decided midi was better ( 50mm longer) and am pleased with it- well my kids are!! Ideal size for my petite 10 year old and he loves the bright orange colour! Delivery was prompt and efficient. Highly recommend both the product and the company. Lovely racquets and just what I wanted for my granddaughter.Just the right size and great quality. She will have many hours of enjoyment. Same great quality for the shuttlecocks-- both were delivered fast and well packed in excellent condition. Thank you so much. Bought these rackets for our 7 & 9 year olds and they are just right. Good value and feel to be a decent quality. Bought 2 of these so we could play in the garden, they have been thrown around,dropped on concrete and used to hit balls, they are fantastically sturdy, much easier to play with because of the shorter handle, highly recommend them and the excellent company newitts, would buy from them again. We have had the mini rackets and the midi rackets now for use in the Junior Badminton Club. They are excellent for young players who can move up the sizes as they grow. The rackets are strong and resilient, and the strings are not showing sign of wear as yet.